RT @benfritz: Ridiculous statement of the day, via @Salon: "The central failure of his presidency has been one of rhetoric"
Rauch-"sustainable bipartisanship" http://t.co/nSSgtKB MT @daveweigel Somebody find pundits who sd "divided govt will get big things done"
Thoughts on Groseclose book on media bias — The Monkey Cage Respected political scientist Tim Groseclose just came out with a book, "Left Turn: How Liberal Media Bias Distorts the American Mind." A liberal friend recently complained that the problem with Congress is that the parties vote in lockstep. Congressmen don't think for themselves. She blamed Gingrich for creating this voting pattern. I gathered that this was the current liberal talking point. Now, Politico (and I presume, Brendan) are complaining that the Republican aren't voing in lockstep for the debt ceiling rise. This seems inconsistent, but it isn't. The unifying principle is that whatever the Republicans do is wrong. Brendan refers to buffoons, and they were on ample display this week. Congress and the President kicked the can down the road with a deal that, even if its promise is eventually realized, would make only a dent in the Administration's projected deficits. Yet the President tells us, "We can’t balance the budget on the backs of people who have borne the biggest brunt of this recession." Mr. President, you can't balance the budget at all! Rep. Mike Doyle (D-Pa.) told his caucus, "This small group of terrorists have made it impossible to spend any money." Impossible to spend any money? Other than the $2 trillion the federal government collects each year in taxes and the additional gazillions they're already committed to spending beyond that, I guess. But the President is less concerned than Doyle about being able to spend. He's already proposing unemployment benefits beyond those authorized by current law and an infrastructure bank. Nancy Pelosi summed up the Democratic talking points perfectly: "Enough talk about debt." Yes, thank goodness the debt has been dealt with. Nothing to see here, folks, move right along. It must be difficult for a liberal to evaluate the impact of liberal media bias. Liberals can't see the media bias, because they share that bias. Asking a liberal to evaluate the impact of liberal media bias is like asking a fish to evaluate the impact of living in water. Anyone who looks at the debt ceiling rise in 2011 vs. 2003 in terms of poliltics only is missing the economics of the situation. Perhaps Republican support for a clean debt ceiling increase in 2003 vs. their demand for spending cuts in 2011 may be partially due to having a Dem President. 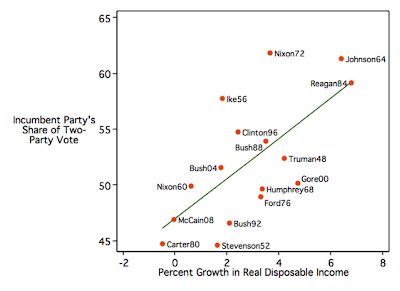 But, at least the Republicans have a valid economic reason for their change. In 2003, the US was in no immediate danger of ecomonic disaster due to excessive debt. Today, there's a real risk that in the near future international lenders may demand much higher interest rates on US debt. Higher interest rates will increase the deficit, leading to a spiral of ever-increasing interest rates and ever-increasing deficits. It's because of today's looming disaster that the Tea Parties and their ilk are so powerful now, but were not a factor in 2003. OTOH Democrats like B. Obama voted against raising the debt ceiling in 2003 but favor an increase today. What's their excuse for changing their minds? Enik Rising ignorantly calls raising the debt limit a "pretty routine task." Earth to Rising: No person or institution can just borrow without limit, not even the US. At some point the credit risk becomes so large that the lenders either stop lending or they charge such high interest rates that the loans become unaffordable. Raising the debt limit may have been routine when the national debt and the annual deficit were much smaller. Today, the debt is out of sight and the deficit of $1,500 billion is enormous. The federal government is spending 150% of its annual revenue. That deficit means that each year our national debt will grow by $1,500. Furthermore, there is no agreement on a realistic way to end the deficit. On the contrary, our policians continue to propose all kinds of new spending. It's not unrealistic to expect that the US national debt will grow by $1.5 trillion per year for the indefinite future. Foreign lenders must be sh*tting in the pants. They may pull the rug out from under our economy at any moment. In short, the reason why Rising is mystified by the Republicans debt-limit showdown is that Rising doesn't understand international finance. Liberals used to pride themselves on being smarter than conservatives. Today, it's the Tea Party who understand finance and the liberals who don't. Regarding my previous comment, see How Long Will US Debt Remain the Destination of Choice for Global Capital? Why don't Enik Rising and other liberal pundits know about this looming disater? The Atlantic isn't even a conservative publication. Or, are they just pretending not to understand the financial situation in order to deflect criticisms of Obama? This only seems to prove that the Tea Party folks are at least consistent in believing that Republicans can be as bad as Democrats in terms of fiscal responsibility. This makes plausible the possibility they are not "insane" "terrorists" after all! Thanks, Brendan, for linking to the article The Elite Illusion. It's well-known that the education provided by elite college isn't the only reason for their graduates' high earnings. These graduates are hardly a random sample. Some of their earnings must be due to their personal characteristics, such as intelligence, ambition, self-discipline, and, perhaps, family connections. But, this nice article goes farther. The researchers found a way to separate the effects of the elite eduction from their graduates' personal characteristics. Surpisingly, the researchers found that the higher earnings are entirely due to personal characteristics. This should make people think twice about spending a quarter of a million dollars on an Ivy League education. The recession was worse than economists thought, which means that the 2009 stimulus bill wasn’t enough to jump-start the economy. Not only is Congress not doing anything to solve the jobs crisis; Republicans—with little resistance from the president—are actively pursuing a contractionary fiscal policy that is weakening a sluggish recovery. In Serwer's view, the bad recession isn't due to counter-productive policies, it's due to bad predictions by unnamed economists. In his view, the bad economy doesn't mean that the stimulus failed; it means that the stimulus wasn't big enough. Note Serwer's heads-I-win-tails-you-lose reasoning. If the economy had improved, that would have shown that the stimulus worked. The failure of the economy to improve also confirms that that stimulus was the right policy, but it means that we need even more stimulus. As Brendan points out, some in the media will wrongly attribute Obama's declining popularity to the failure of his centrist positioning or to his rhetoric or to a character/personality narrative. The real cause is the bad economy. But, blaming the bad economy is dangerous. It leads to the possibility that Obama's liberal policies were bad for the economy. Can't have that!